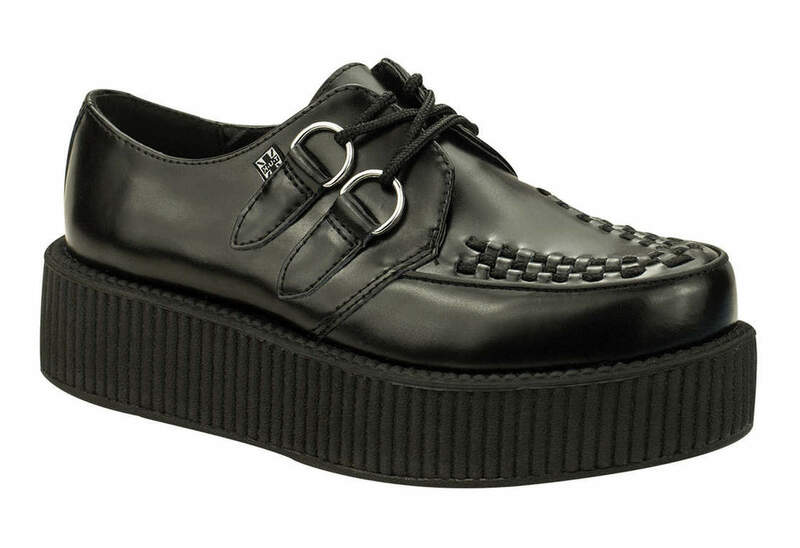 These fantastic black leather mondo Viva sole creepers from T.U.K. will be your favorite pair of shoes. 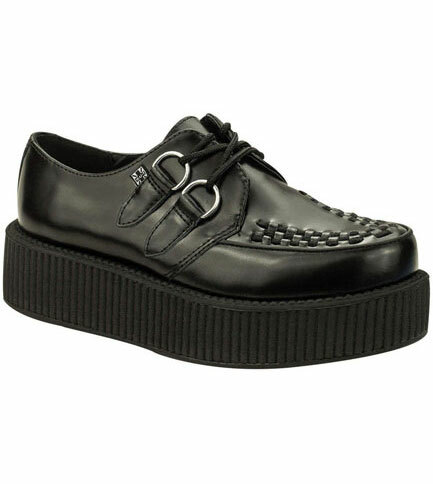 With black interlace on the uppers, silver metal d-rings and their 1 7/8 inch sole these creepers are smart and sophisticated.